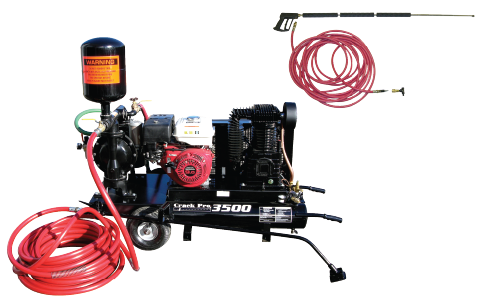 CrackPro pump systems set the industry standard for portable cold-applied pourable crack filler applicators. 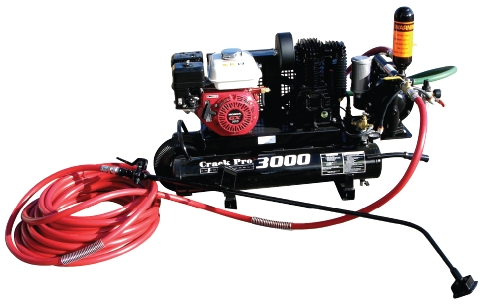 CrackPro Cold-applied crack filler applicator units are available in several sizes. 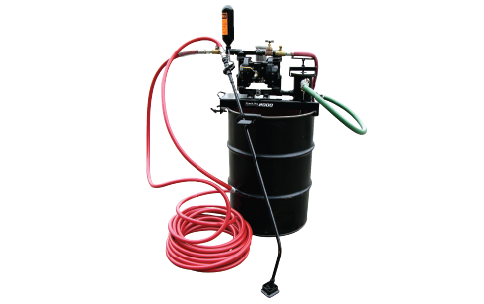 CrackPro portable units are designed to draw cold applied crack sealants from pails and drums and pump through a hose and wand directly into cracks. Also ideal for spraying pavement sealers with and water base tack coats. • Dependable Low Maintenance Air-driven Dual Diaphragm Material Pump-shifts to neutral automatically when wand is shut off. 1 ½ inch material discharge outlet. • Dependable Low Maintenance Air-driven Dual Diaphragm Material Pump-shifts to neutral automatically when wand is shut off. 1- inch material discharge outlet.